Cape Town - Antonio Conte says the way the Premier League is scheduled needs to change if clubs are to be successful in the Champions League. Chelsea were the last English side to win the elite European competition back in the 2011/12 season under caretaker manager Roberto Di Matteo. 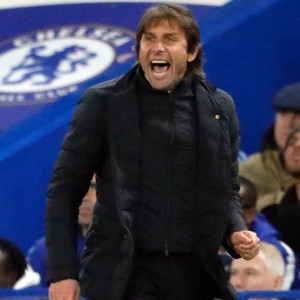 And ahead of facing Qarabag, where Conte's team needs a result to reach the Champions League last-16, just three days prior to a mammoth league clash away to Liverpool on Saturday, the manager says something has to change. "Whoever prepares the fixtures must try to change something. I think this is the best way for English football," said the Blues boss. Conte added: "For a lot of time, there isn't an English team playing a final in the Champions League. Why is this? "The teams are very strong and every team has the possibility to go through to the Champions League final. "I don't like to find excuses or alibis, but this is the reality. Sometimes I think it's right to give respect for our job." Chelsea should be confident of beating Qarabag in Azerbaijan though following their 6-0 victory at Stamford Bridge in the first meeting between the two sides in this season's Champions League.